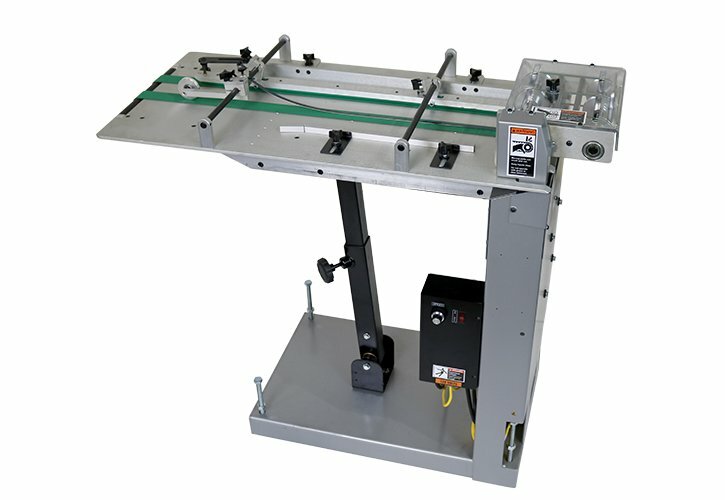 Be more productive by running your KR inkjet system or tabber inline with your folder using the KR415 Interface Conveyor. 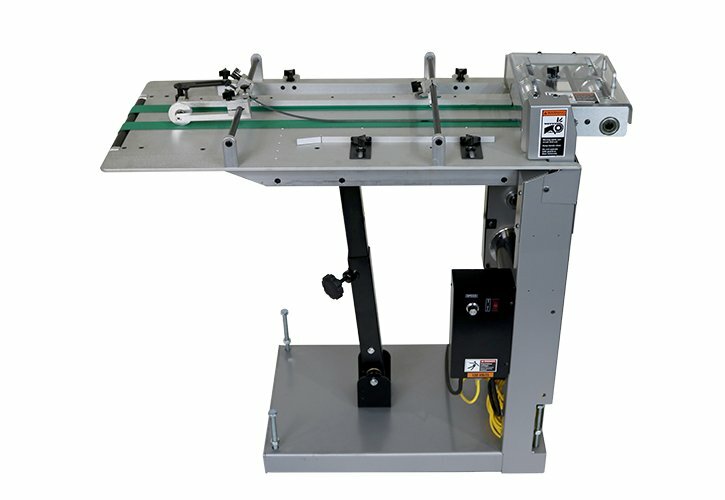 The KR415 bridges the gap and height difference between the folder outfeed and the KR system eliminating a secondary feed operation. 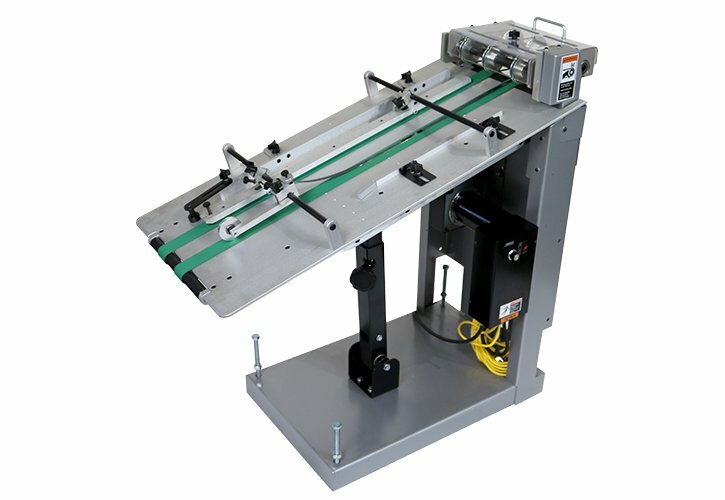 The pivoting infeed provides infinite adjustment between 19.5″ and 33″ off the deck. 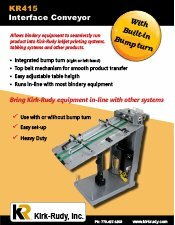 An integrated bump turn orients product for inkjet addressing or tabbing. 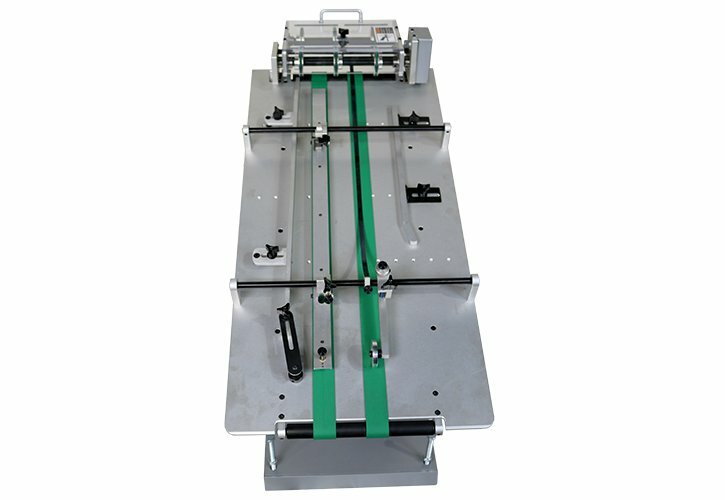 Top belts on the outfeed ensure product is controlled as it exits the KR415.